Keeping track with market development, we are indulged in trading manufacturing, exporting and supplying high quality Terminalia Bellerica. 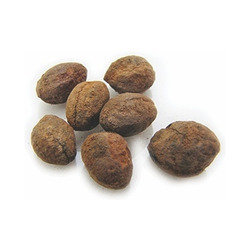 Organically certified Bahada or Beleric, Myrobalan for export or domestic market. We are offering terminalia bellirica. 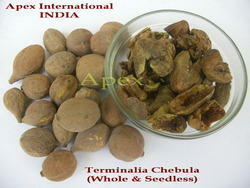 we are excelling in the domain of supplying and exporting terminalia bellirica in domestic and international markets. We handpick the best quality of terminalia bellirica. details • common name : baheda • botanical name : terminalia bellirica • certification : nop & npop, & minimum order quantity : 100kg. Terminalia bellirica is a tree native to India. It is found in every part of India. Terminalia bellirica is a tree of Combretaceae Plant family. Synonym - Myrobalanus bellirica. This is a big tree. The leaves are alternate, coriaceous, elliptic obovate. The flowers bloom in March to May. The flowers are pale greenish yellow in color, in axillary spikes. The fruits are grey.